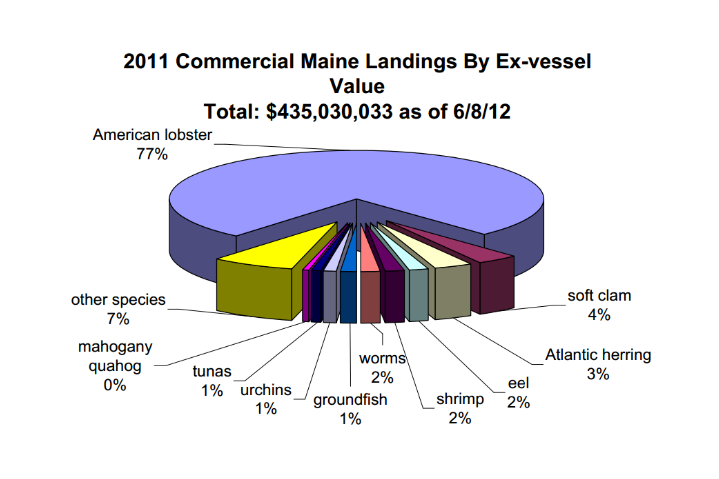 This pie chart shows the relative value of catches in the Maine fisheries for the year 2011. Lobster far outstrips anything else with aquaculture salmon being a distant second. Pie chart courtesy of the Maine Department of Marine Resources.